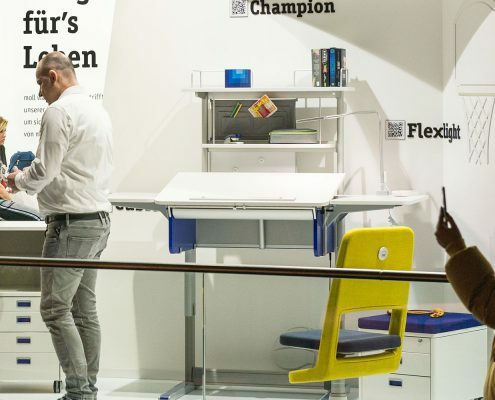 As every year, the world’s largest design and furnishing fair in Cologne is the start of the year and shows the most important trends that will shape the furniture and furnishing industry. Already after the first few days we can say that the fair will be a complete success for us. 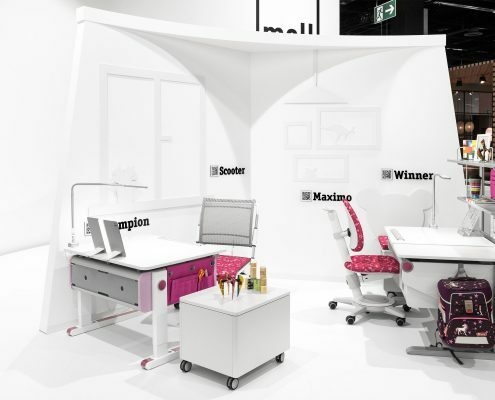 Our stand in Cologne convinced the public not only visually but also with our exciting new products. Already in the first days we were able to welcome a lot of interested visitors. 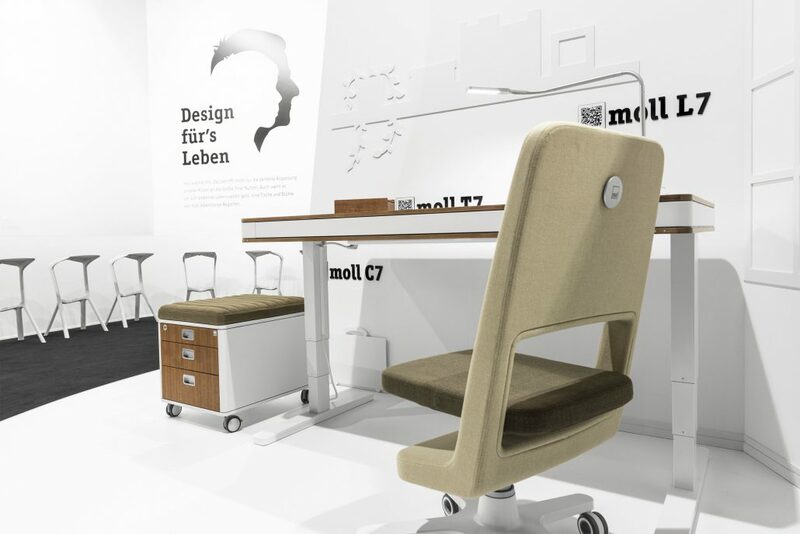 moll offers with its Champion Express a desk with an enormous range of adjustment options that fits ergonomically to almost any body size – whether sitting or standing. For effective learning and well-being in the children’s room, the change between sitting, standing and moving is extremely helpful. Therefore the table can be raised to standing height easily and in less than 1 second. We love this varied learning environment! 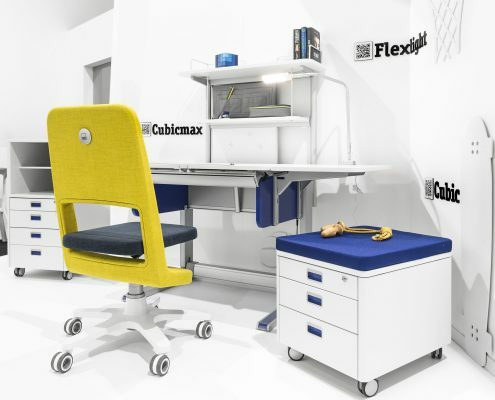 Kids desks should have a splittable desktop with one tiltable and one solid element so that children can work on it for the best conditions. Each child has a clear preference for one hand. But what happens to the kids desk if it is passed on to the sibling with a different preference? The Winner Split makes no difference – it can be modified. 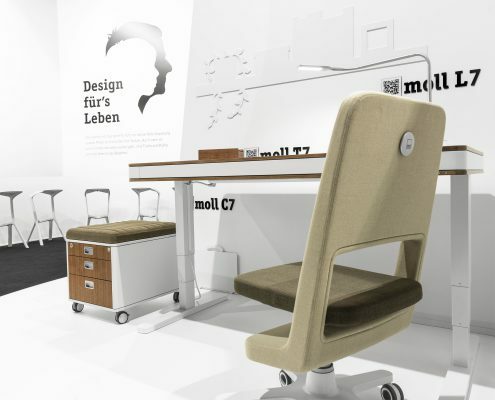 The new kids desk from moll takes further generations into account.! What is the right furniture when it comes to arranging a small children’s room? 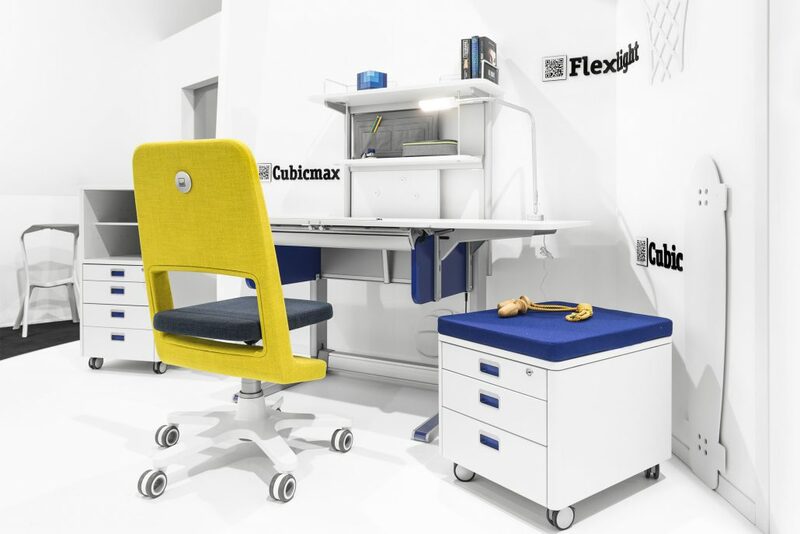 Flexible and multifunctional furniture are ideal because they are multifunctional. 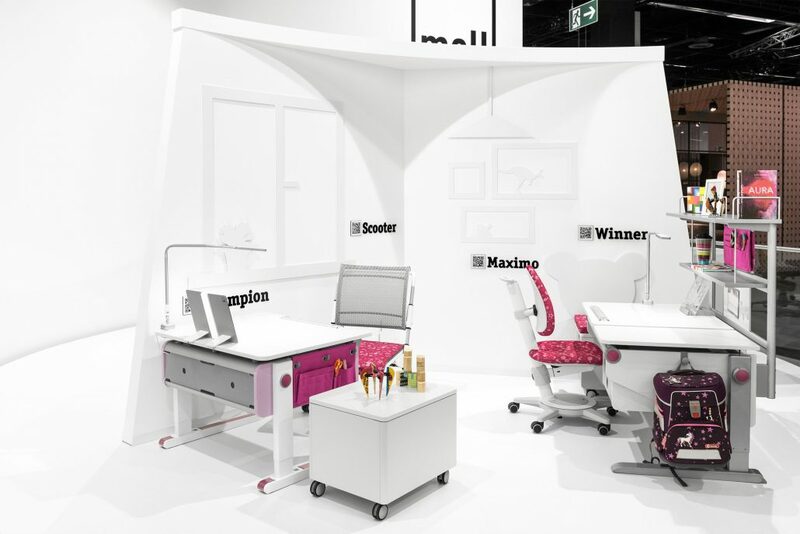 The Champion Compact is 30 cm smaller than its “big brother”, the moll Champion. It grows with the children and teenagers, but also according to the size of the room. 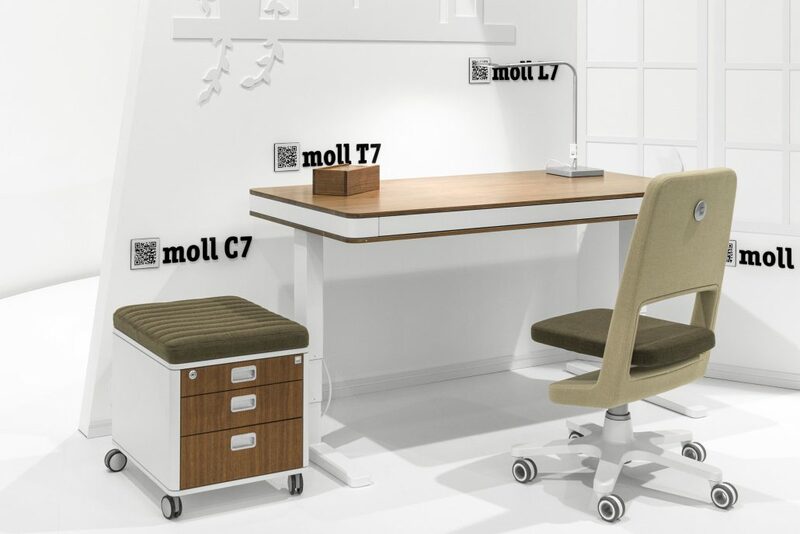 moll T7 exclusive fascinated the visitors with its high-quality walnut finish and its electromotive height adjustment. The entry into the moll world is now easier than ever! From 2019 there is the Joker with the Comfort height adjustment with Jojo. Reduced to the essentials without any compromises in ergonomics, the Joker is now also available with the practical Comfort height adjustment. For everyone who doesn’t want to compromise on quality and functionality! In 2019 moll expands the range of children’s desk lamps. 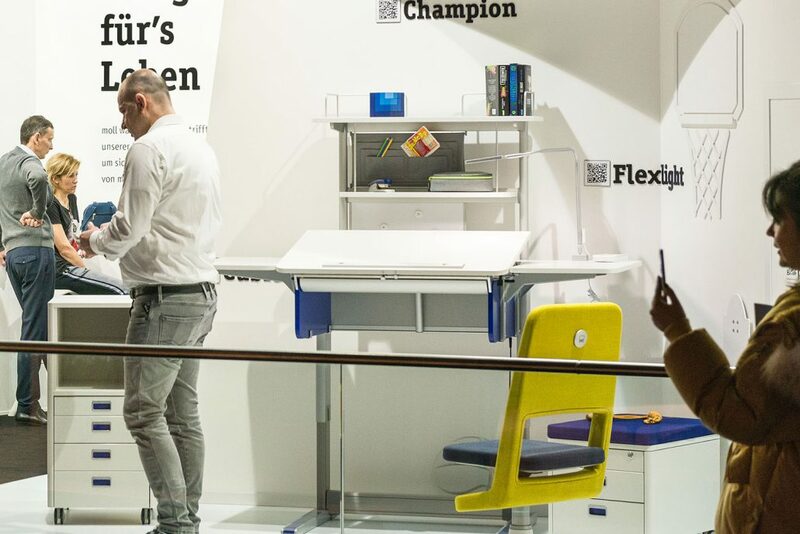 With the moll L7, which is based on the same technology like the Flexlight, there will also be a mobile lamp with a solid base for the children’s room. This gives children the advantage of using the lamp in different places. Of course, new fabrics should not be missing! moll has expanded the kids collection with the fabrics Lotta and Submarine. The bright and cheerful colors make the kids room suitable for a girl’s or boy’s room. Children love our new fabrics, which personalise their workplace.